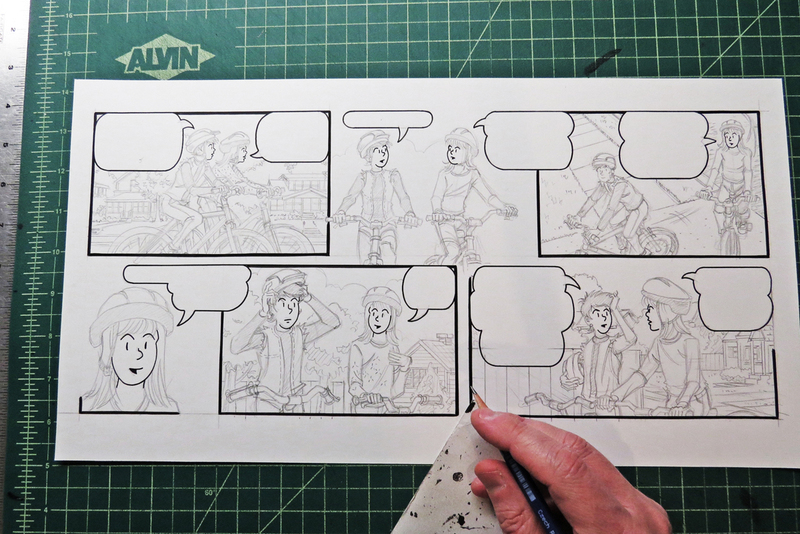 A quick post showing what the pencils and inks look like for a Sally Forth Sunday page. 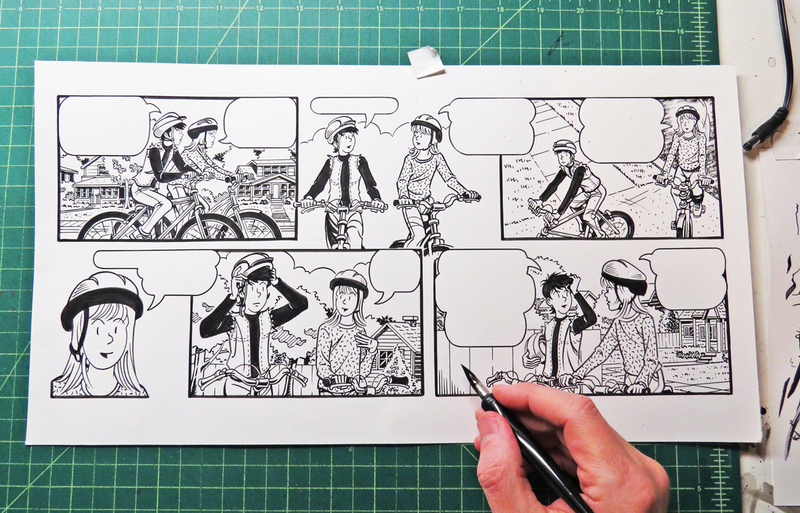 Lettering is laid in after I scan the artwork and make a digital file out of it. check out my previous post, Comics – Tools of the Trade. Here’s how it looks in color (courtesy of Comics Kingdom). And here’s how it looked in today’s paper. Newspaper reproduction is hit or miss. Between color smudges, misaligned color, the general beat up condition of the comic section and it not being shrunk proportionately (squashed length-wise so they’re taller and thinner) – your artwork isn’t always presented at it’s “best” (to say the least). 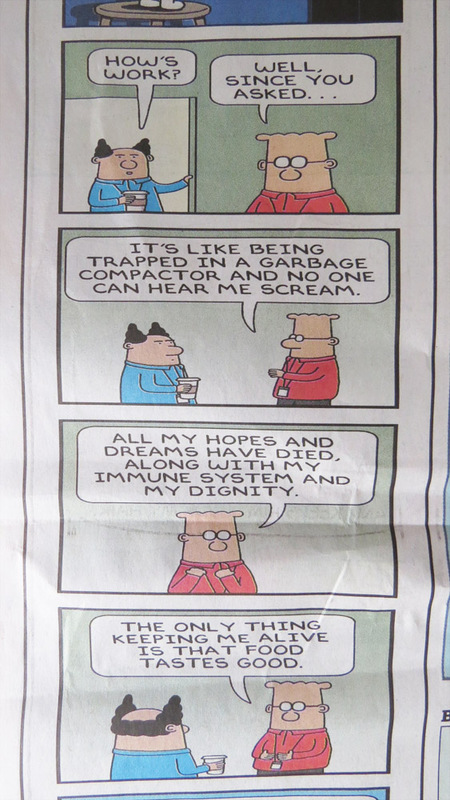 I did better that Dilbert this week though. They got really stretched, so the characters all look to have gained a few pounds. That’s all from the magical world of syndicated cartooning for now. 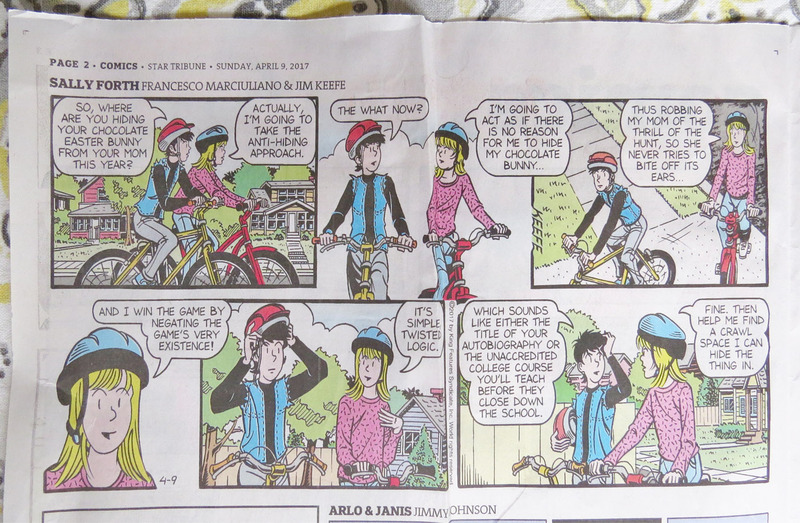 This entry was posted in Ramblings & Reviews, Sally Forth and tagged Sally Forth. Bookmark the permalink.